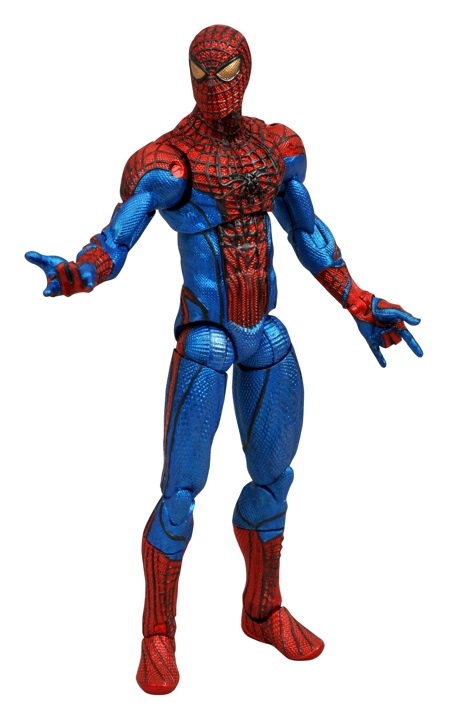 The regular edition of Spider-Man is already in comic book stores (alongside the movie version of the Lizard), but even if you have that one, you're gonna want one of these new retailer variants. 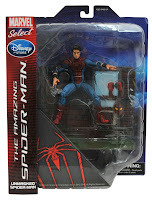 Shipping at the same time to Marvelstore.com and Disneystore.com (and appearing on retail shelves of the real world Disney Store), both figs offer something different. 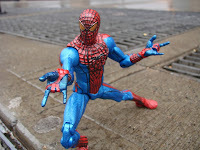 The Metallic Spider-Man is just that- he's got a shiny coat of metallic gloss over him. 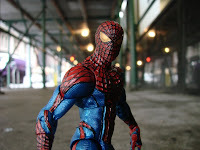 As neat as that may be, my pick of the two has to be the unmasked variant. 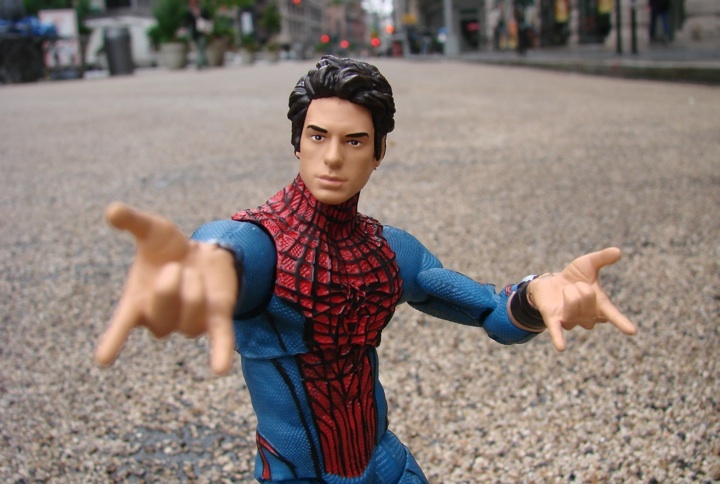 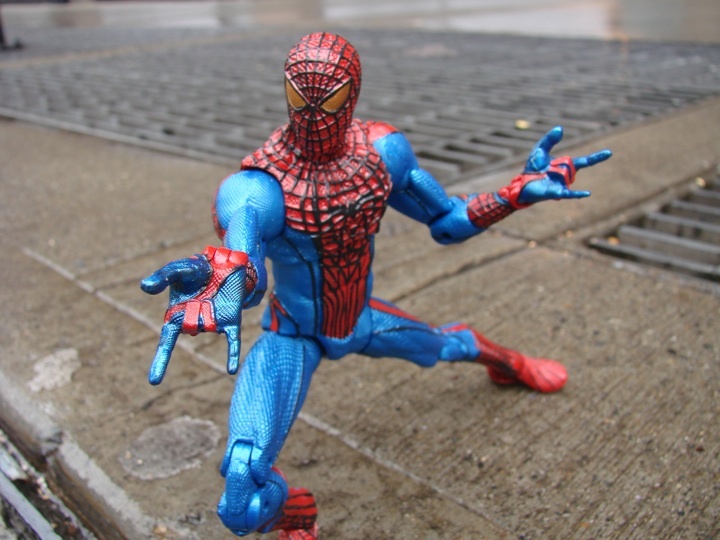 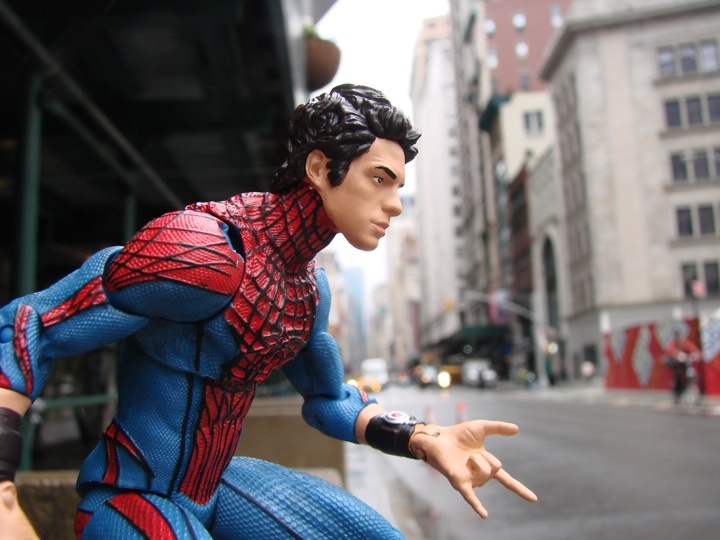 A pair of heads (and hands) are included in the package so you can switch Spidey up to Peter Parker- complete with the likeness of the film's star, Andrew Garfield. 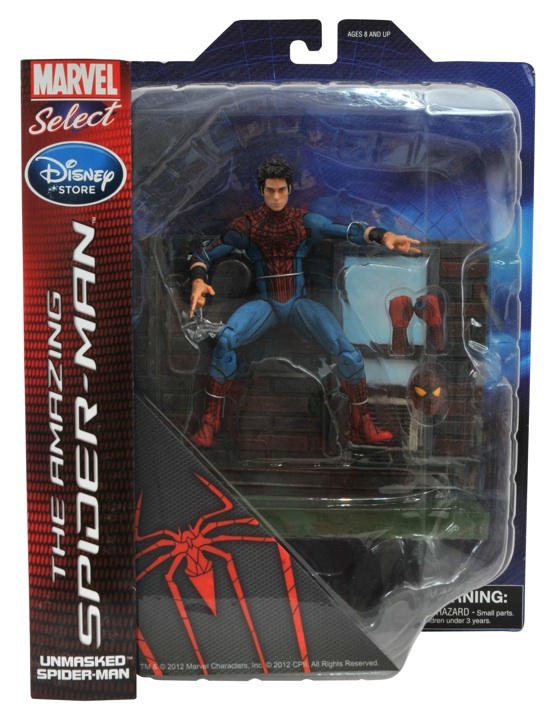 Be on the lookout for both special edition The Amazing Spider-Man figures to web swing into the Disney and Marvel stores early next month.